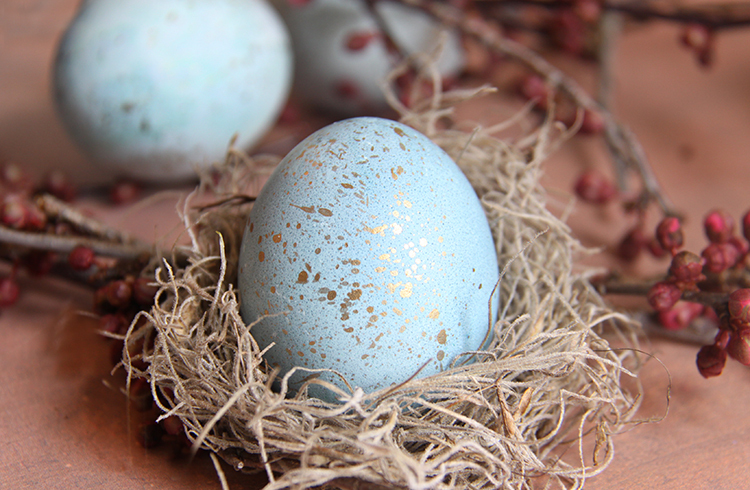 My kids love to dye eggs but honestly, I do too! 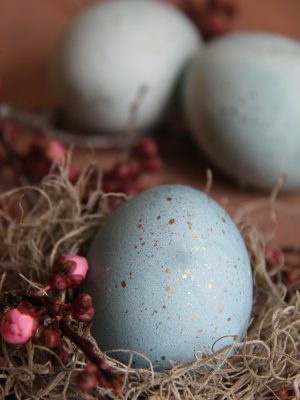 I found this fun and clever way to dye eggs that makes them a gorgeous Robin Egg blue color. It happens naturally with red cabbage. Can you believe it? 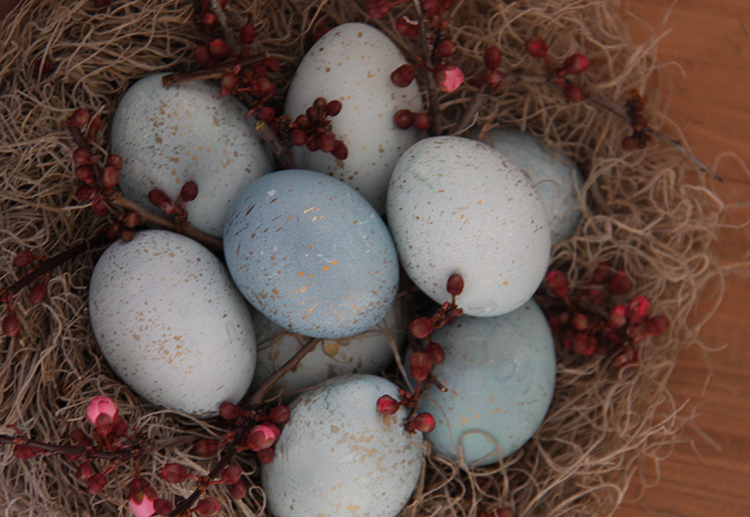 It still blows my mind that red cabbage made these eggs turn an absolutely stunning blue color. 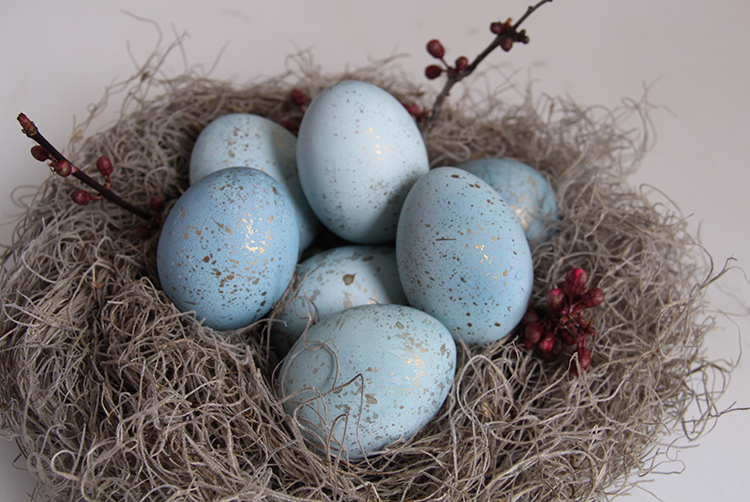 I added a little edible gold paint to make them look like gorgeous robin eggs. 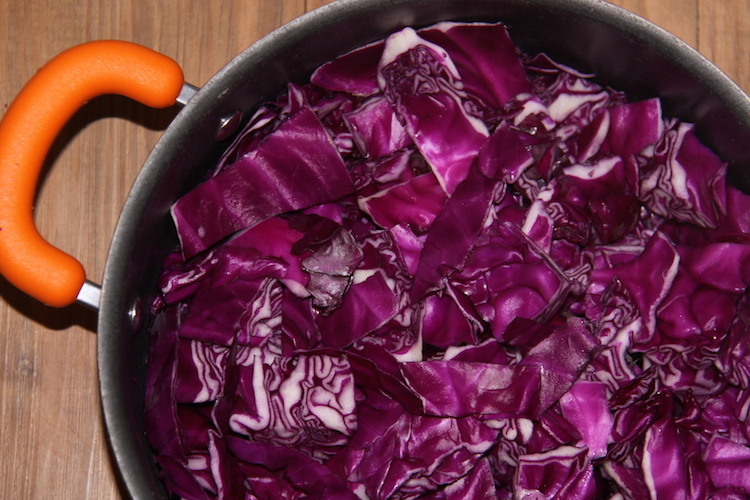 Prepare the dye by cutting up a head of red cabbage and adding to large sauce pan. Add 7 cups of water and bring to boil. Once it has reached boiling stage reduce heat and simmer for 40 minutes. Strain cabbage and reserve the liquid. Add liquid to deep dish and add 5 tsp of white vinegar. 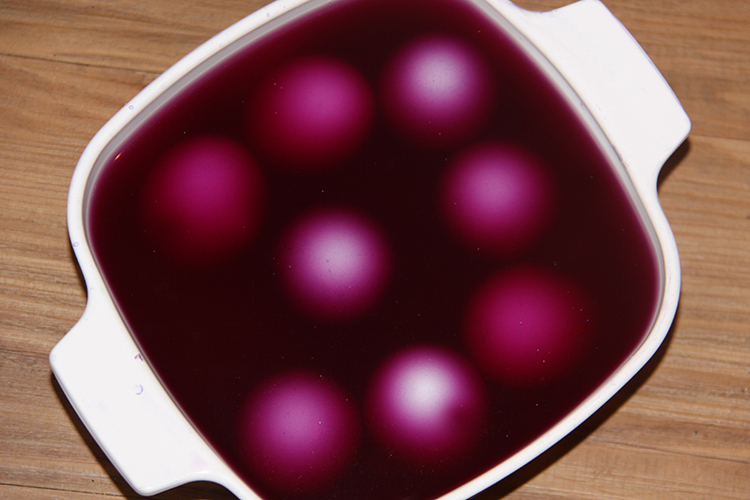 Gently add eggs to dye liquid. Allow eggs to sit in cabbage liquid for 1- 2 hours, rotating every 30 minutes. The longer you allow them to sit the darker they will become. I like to take them out gradually to give a nice variance of color. 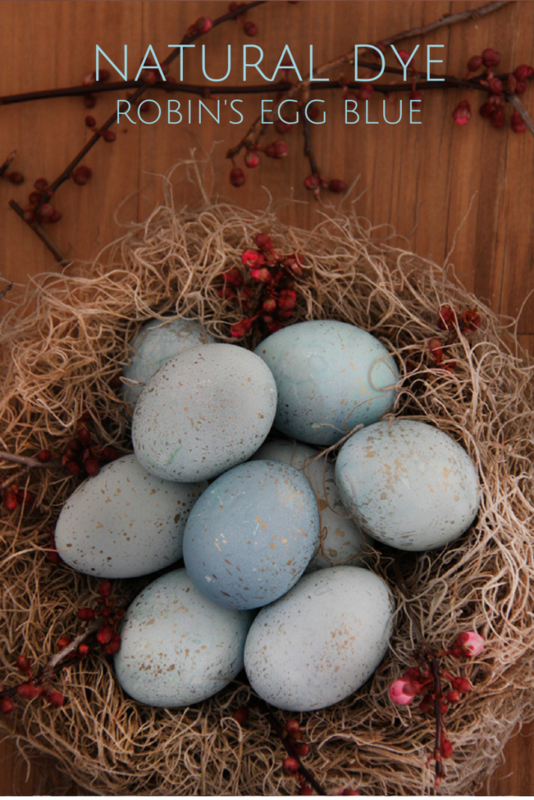 Once you pull the eggs out of the dye, lay them on a paper towel to dry. The eggs will darken as they dry, it seriously cool. Your kids will think you are magic. 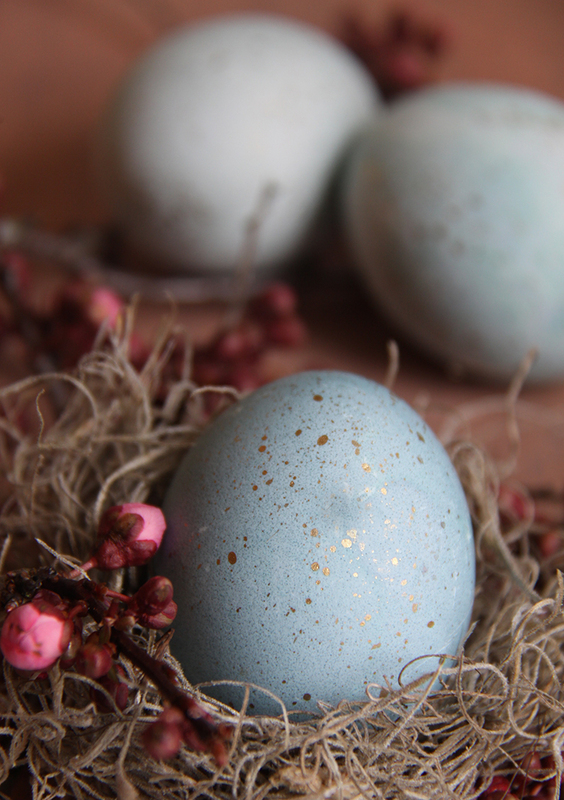 Once dry, dip a stiff brush into edible gold paint and flick onto eggs. You do this by using your fingernail and going across the paint brush. 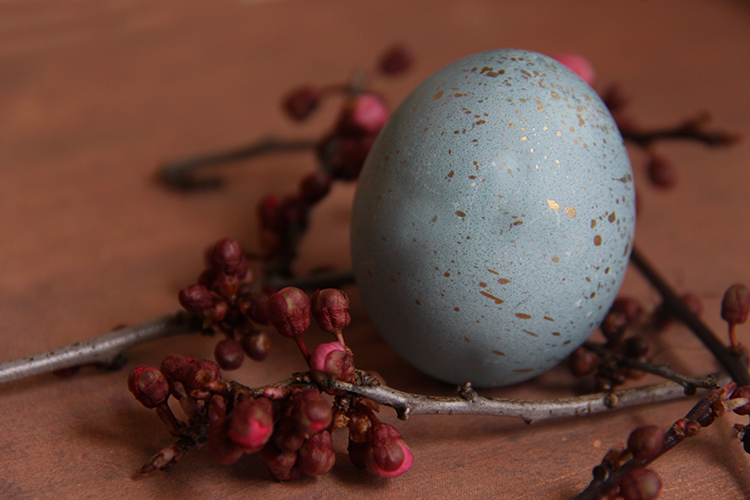 Natural dyes are amazing and the possibilities are endless! You can use all sorts of different foods to dye eggs here are some other options, beets (pink), spinach (green), coffee (peach). Enjoy! The inspiration for this project was found on Pinterest via Honestly Yum.